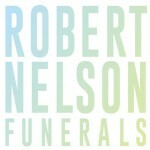 Have You Considered Organising the Funeral Yourself? This guide has been prepared to support and assist people who may prefer to not use a funeral director and would like to conduct the burial or cremation themselves. It is divided into three simple and easy stages. It is possible to organise a funeral yourself without using a funeral director providing you obtain a Single Funeral Permit and comply with the relevant State requirements. By obtaining a Single Funeral Permit you become the “Funeral Director” and it is your responsibility to arrange all permits and applications as well as all other matters associated with the funeral. 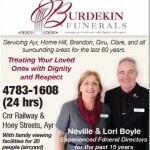 Although a do it yourself’ funeral can be a complex undertaking, it can also be very rewarding. Some people find it helps them come to terms with the death of a loved one. It can also be significantly cheaper than using a funeral director. What other arrangements do I need to make? Some of the tasks involved in conducting your own funeral and applying for a Single Funeral Permit may be distressing and it is not advisable to try to do it all yourself. 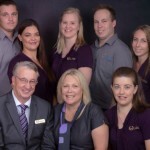 Ask another family member or friend for help or alternatively use the services of a funeral director. 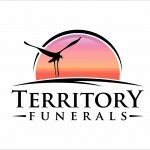 Whilst every effort has been made to provide accurate information, we are aware that the laws and policies for DIY funerals will vary in each State. It is recommended that you contact your preferred cemetery and managing authority in your State for specific requirements and to discuss any issues you may have in person. It is possible to organise a cremation funeral yourself without using a funeral director providing you obtain a Single Funeral Permit and comply with the relevant State requirements. By obtaining a Single Funeral Permit you become the ‘Funeral Director’ and it is your responsibility to arrange all permits and applications as well as all other matters associated with the funeral. Although a do it yourself funeral can be a very complex and risky undertaking, it can also be very rewarding. Although not recommended, some people find it helps them come to terms with the death of a loved one. Before cremation can take place, it will be necessary for you to follow a number of important steps in order to comply with the relevant State requirements. A Medical Certificate of Cause of Death is required from the Doctor who certified the death. This can be done at the time the Doctor certifies, or alternatively by arranging to collect it from his surgery. If the death is subject to a Coronial investigation, a Coroners Certificate is issued by the Coroner’s Office. In the case of a stillborn death, a Medical Certificate of Cause of Stillborn or Neonatal Death replaces the Medical Certificate of Cause of Death (available from the hospital where the death occurred). The requirements relating to Single Funeral Permits are generally governed by Cemeteries Acts, Cemetery By-laws and other laws in each State. An application for a Single Funeral Permit must be completed and returned to the managing authority together with the relevant fees. Proof of securing Public Liability insurance may also be required. 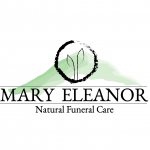 The application form will outline your responsibilities and the terms and conditions for taking charge of the funeral arrangements as if you were a licensed funeral director. Compliance with the terms and conditions set out in the Single Funeral Permit by the relevant managing State authority. The applicant must be over 18 years of age and provide their full given names and surname on all documentation. Satisfactory arrangements are made for the safe holding of the body prior to the burial/cremation which meet the required health regulations. A suitable coffin or casket is obtained for the deceased person named on the permit. Secure Public Liability Insurance to a specified value is obtained. All necessary forms are completed showing the deceased person’s legal surname and given names in full. Provision of a suitable and respectable vehicle to transport the body and coffin within the cemetery. Once your application has been approved, it will then be necessary for you to book the day and time of the cremation with the cemetery. If the deceased person is to be cremated a Certificate of Medical Attendant form is also required in most States. It is important to advise the Doctor/Coroner of your intentions at the same time as ordering the Medical Certificate of Cause of Death (or Medical Certificate of Cause of Stillborn or Neonatal Death). A Certificate of Medical Attendant form will generally take the Doctor approximately 30-45 minutes to complete. The Coroner does not need to complete this Certificate; however the Coroner will still need to be made aware that the deceased person is to be cremated so that a Coroner’s Certificate to Cremate is issued. An Application for a Permit to Cremate will also need to be completed for the cremation to take place. On completion of the Certificate of Medical Attendant form and Application for a Permit to Cremate, you will take both these forms to a Medical Referee. This is a doctor appointed under the Cremations Act. The managing authority in your State may be able to provide you with a list of the Medical Referees within your area. The relevant Department of Health can also provide further names if required. The Medical Referee will check both the Certificate of Medical Attendant and Application for a Permit to Cremate prior to issuing you with a Permit to Cremate. You must also ensure that if the deceased had a pacemaker it has been removed. The Medical Referee keeps both the Certificate of Medical Attendant form and Application for a Permit to Cremate. It is normal for Medical Referees to charge for this service. An Application for Cremation is then required to be completed and lodged with the relevant crematorium. The legal surname and given names of the deceased must be used in the application as with all other forms. Your full given names, surname and address as Administrator must also be completed, signed and dated. It is also important to specify in the application what arrangements you have decided with regard to the ashes. A copy of the Application for Cremation and the Permit to Cremate must be submitted to the crematorium 48 hours prior to the funeral so that if there are any errors they can be rectified and resubmitted in plenty of time before the funeral. Payment must be made prior to the funeral taking place. A substantial coffin is required for cremation bearing the name of the deceased person stamped in legible characters on a metal plate on the lid of the coffin. A lead strip with the name of the deceased must be placed under the name plate on the coffin/casket. Note: When purchasing a coffin, you will need to ensure that you have a suitably enclosed transport vehicle, together with a cover for the coffin. On the day of the funeral, you will need to have obtained and prepared the coffin and ensure that you have all the necessary paperwork to meet the relevant State and crematorium requirements. Death, and whose name appears on the metal plate on the lid of the coffin. This identification process is to be done prior to the coffin being sealed. The ashes are generally available for collection from the Crematorium 48 hours after cremation takes place. You can nominate to collect the ashes by selecting that option on the Application for Cremation or you can advise the crematorium at a later date should you wish to collect on a certain day and time. The ashes can be collected in person by the Administrator (i.e. the person whose name is provided on the relevant forms). In the event that the Administrator is not able to personally collect the ashes, he/she may provide a letter of authority together with acceptable identification (e.g. Driver’s Licence) for an agent to collect the ashes. If you are undecided regarding the placement of the ashes, the crematorium will generally hold the ashes for up to six months free of charge and post out brochures to the Administrator. If the ashes are not placed with a memorial or collected within six months, a storage fee per month may be charged. The crematorium may also dispose of the ashes in accordance with any laws if arrangements have not been made for them to be placed or held beyond the six-month period. Under the relevant Births, Deaths Marriages Registration Act in each State, you are required to register the death of the deceased with the relevant Office of the Registry General, Births Deaths and Marriages. The registration of the death is generally required to be completed within seven days of the funeral. The following documentation needs to be presented to the Registrar of Births, Deaths and Marriages. How long does it take for the death to be registered? Registering a death takes approximately two weeks. Once registered the applicant may lodge a Death Certificate Application form with the relevant Registry for a Certificate of Death Registration (commonly known as a Certified Death Certificate). Death Certificates usually take from 3-7 days to be issued and there is a fee charged for the document by the Registrar. It is possible to organise a burial funeral yourself without using a funeral director providing you obtain a Single Funeral Permit and comply with the relevant State requirements. By obtaining a Single Funeral Permit you become the ‘Funeral Director’ and it is your responsibility to arrange all permits and applications as well as all other matters associated with the funeral. It will be necessary for you to follow a number of important steps in order to comply with the relevant State requirements. A Medical Certificate of Cause of Death is required from the doctor who certified the death. This can be done at the time the doctor certifies, or alternatively by arranging to collect it from his surgery. If the death is subject to a Coronial investigation, a Coroner’s Certificate is issued by the Coroner’s Office. In the case of a stillborn death, a Medical Certificate of Cause of Stillborn or Neonatal Death replaces the Medical Certificate of Cause of Death (available from the hospital where the death occurred). The requirements relating to Single Funeral Permits are generally governed by Cemeteries Acts, Cemetery By-laws and other laws in each State. An application for a Single Funeral Permit must be completed and returned to the managing authority together with the relevant fees. Proof of securing Public Liability insurance may also be required. Compliance with the terms and conditions set out in the Single Funeral Permit by the relevant managing authority. Arrangements that meet the required health regulations are made for the safe holding of the body prior to the burial/cremation. Does your application relate to a new grave? If your application relates to a new grave, you may be required to complete a Digging Requisition form with the details of the deceased and grave details required. It is generally a requirement that the completed, signed and dated form is provided to the cemetery 48 hours prior (or earlier) to the funeral date. Graves are generally allocated in the current working area of the cemetery unless stated on the Digging Requisition form. If you wish to select a specific grave site, you will need to liaise with the cemetery beforehand. There is an additional cost for your selection. Does your application relate to the re-opening of an existing grave? If your application relates to the re-opening of an existing grave, you will need to advise the cemetery, usually on the Digging Requisition form. A Grant of Right of Burial for the grave to be reopened must be current. If the Grant of Right of Burial has expired, you must contact the relevant cemetery who will be able to advise you of specific requirements to be met. Once your application has been approved, it will then be necessary for you to book the day and time of the funeral with the cemetery. Your name, phone and fax number or email address. A burial application number will then be provided to you by the managing authority. The burial application number is to accompany all paperwork relating to the deceased. A substantial coffin is required for burial bearing the name of the deceased person stamped in legible characters on a metal plate on the lid of the coffin. A lead strip with the name of the deceased must be placed under the nameplate on the coffin/casket. It is recommended that you contact one of the local coffin suppliers or alternatively a Funeral Director to purchase a recommended coffin. You will need to ensure that you have a suitably enclosed transport vehicle, together with a cover for the coffin. Coffins cannot be transported uncovered, on top of a vehicle, in a trailer or open backed vehicle. On the day of the funeral, you will need to have obtained and prepared the coffin and ensure that you have all the necessary paperwork to meet the relevant State and cemetery requirements. You will also be required to provide an Identification Form. This form requires you to certify that the body in the coffin is in fact the deceased person named on the Medical Certificate of Cause of Death, and whose name appears on the metal plate on the lid of the coffin. Lodging a death takes approximately two weeks to be registered. Once registered the applicant may lodge a Death Certificate Application form with the relevant Registry for a Certificate of Death Registration (commonly known as a Certified Death Certificate). Death Certificates usually take from 3-7 days to be issued and there is a fee charged for the document by the Registrar.